Hello, I'm new here so please bear with me. I am working on a customers 1947 Hudson Commadore 8. He has asked me to install a power disc brake system and I'm wondering if anyone has done this? I think I want to use a street rod pedal/booster/master cylinder kit mounted under the floor (Speedway Motors part #9106005). I am hoping for some guidance to select a kit or pieces to bolt up as far as rotors calipers. Any info will be appreciated. Hang in there, someone will give you an answer. It HAS been done and someone was selling a kit. If it's no longer available, someone will have an answer as to how to adapt another car's brakes. '48 - '54 Disc Set Up are same fitamint, '37 - ''47 needs one Brg swapped but virtually same up to '54 too. Ive updated many Hudson Brake systems now, (even though Hornet really dont need it) just more as a challenge. Under floor Drum/Disc need a red 2lb Residual valve. 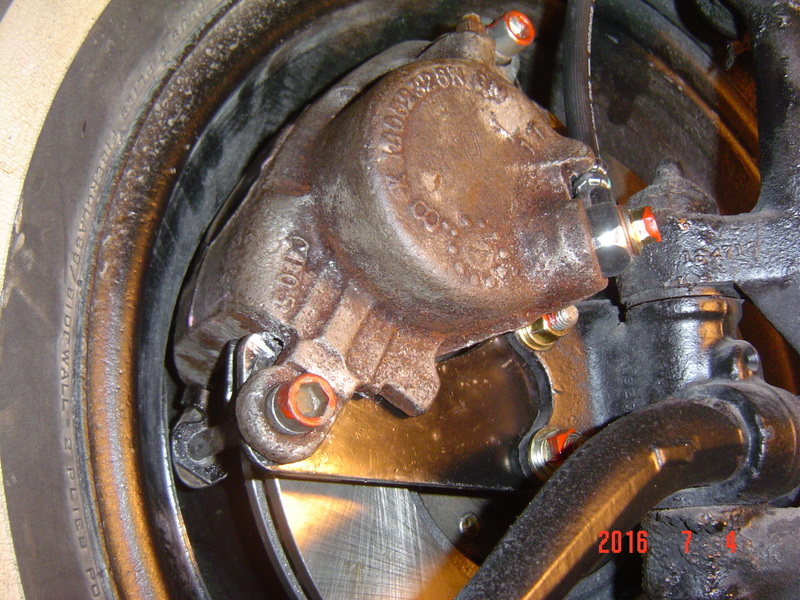 More recently I made my own Disc Set Up using 01-04 Chry Sebring Rotors (#RTR 76921) by machining the ID slightly (.120) to fit the Hudson Hubs, then installed '70's Camaro Calipers, Pads, and Hoses. I fabricated the Cailiper Bracket from 3/8 mild steel plate in my garage. 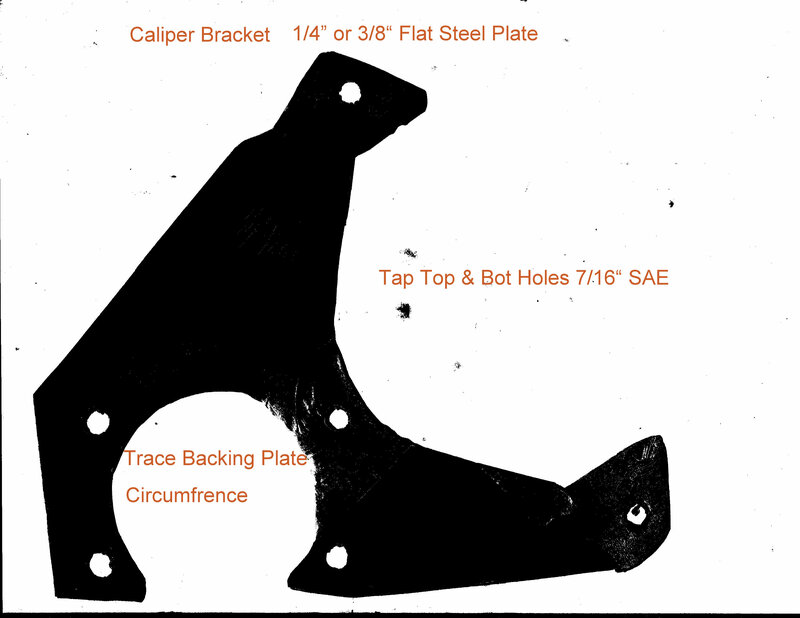 I Posted all my conversions earlier and a few members have copied the Disc Brkt diagram to have Bracket Machined. I used Grade 8 Bolts thru the back side hubs by drilling out threads slightly then used a spacer to clear 'my' wheels. However 610 289 Dorman Studs are available if dont want bolts. I ground off the caliper body just slightly to clear Hudson rim, but with spacer was unnecessary. If interested in duplicating I would send a copy of the bracket. 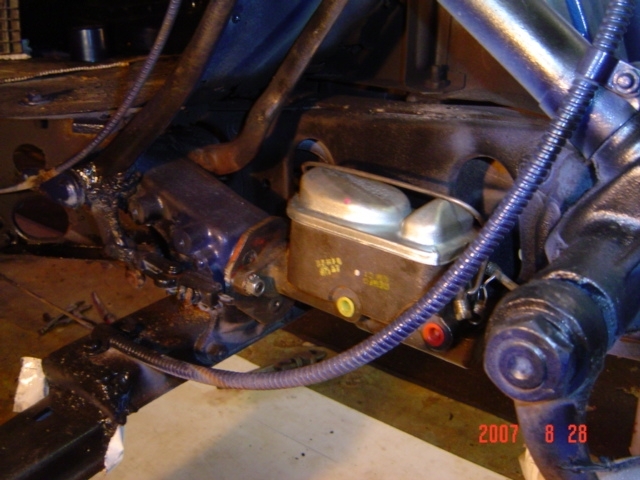 It was a very simple conversion and works very well..
Did you mount the Torino Dual Master cylinder in the stock location under the floor on the 47? I mounted the Torino Dual Master Cyl under the floor right onto the pedal Assy bracket where I removed the Hudson M/cyl...Using the Torino & Hudson M/Cyl's as a pattern, I cut a 1/4" triangle Plate wide enough to mount the Torino M/Cyl then drilled it to install 3 'button' bolts onto the pedal bracket. I also hole sawed the center of the plate for the push rod. I counter sunk 2 Button Bolts bolts forward to mount the wider Torino M/Cyl. It was simple to fabricate. I had to shorten & re thread the Torino push rod (that came with the M/cyl) to except the Hudson Yoke, then adjusted Pedal free play. All the original Secondary Braking System Linkage was retained. The only drawback is filling the Master Cyl but after bleeding I havent needed to refill in years. However, a plastic Remote Fill can be bought cheaply to mount higher on firewall if desired. A couple of Forum members duplicated the Adapter later but I tried to find the pictures I Posted previously but couldnt locate tonight. The Ford Torino Dual M/Cyl that I installed was a 4 wheel Drum Brake car, just prior to Disc/Drum brakes, probably '67 or '68. Install was about 8 yrs ago and I would need to look thru some old files for part number. It was in Stock item at Auto Store. Compliment the dual M/Cyl with larger Hornet 11" x 2 1/4" front backing plates, lining, & Drums would really stop great. As I hoped, this site has been a wealth of information so far, thanks to everyone. 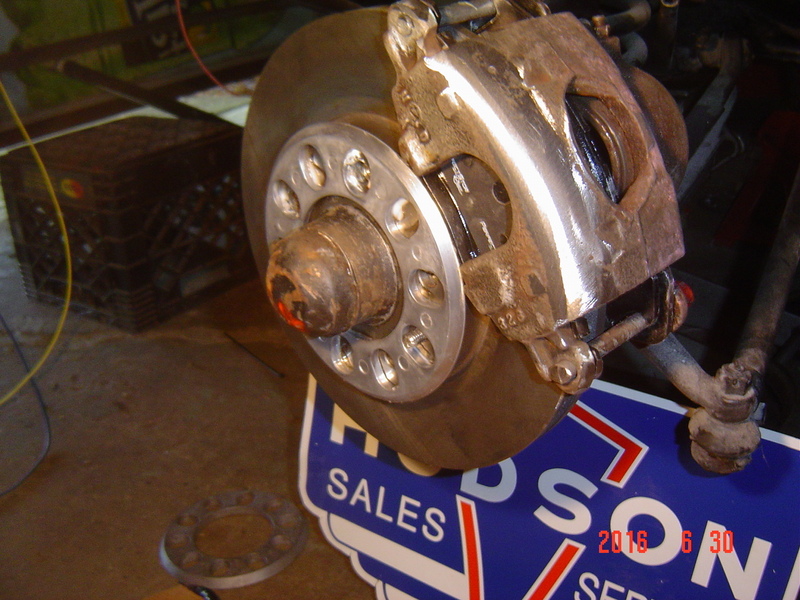 With the ABS front disk set up installed, my attention is now on rebuilding the original rear drum brakes. Is anyone making a suitable replacement for the cylinders? Mine appear to be beyond rebuilding, but could explore that option. Also looking for spring/hardware kits? Shoes? brake wheel cylinders and brake hardware are all available at your local NAPA or other typical supply store. Go to my website and select brakes or the interchange parts area for part numbers.